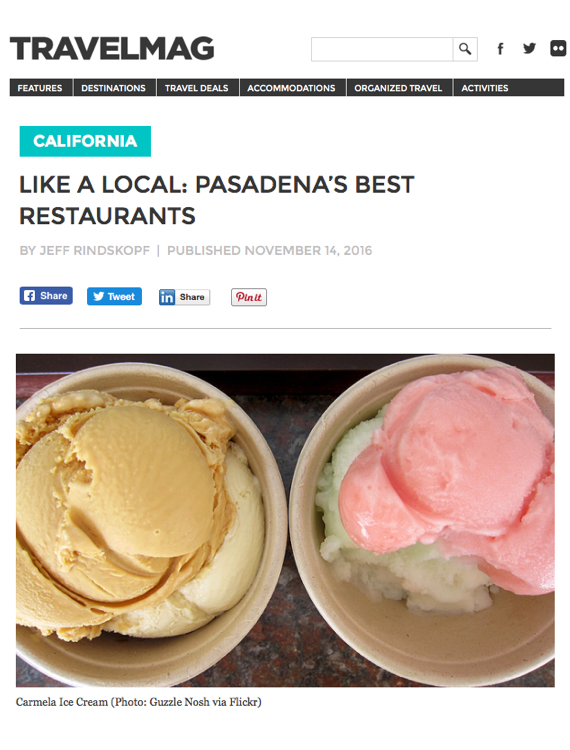 "Ice cream is practically an art at Carmela, unquestionably Pasadena’s best spot for this deliciously cooling dessert. The smell of fresh-made waffle cones lures customers in, while unusually complex flavors like brown sugar vanilla bean, strawberry buttermilk and lavender honey keep them there. Their artisanal focus on organic dairy and seasonal flavors over artificial extracts makes a noticeable difference in flavor; one that can be replicated at home thanks to their in-house ice cream classes."